Line up necklace from mark., sweet stud earrings from mark. When things don't line up, I always turn to my accessories to give me a little extra oomph. I know I show "current faves" pretty often but I like to switch it up! The necklace adds a little class to a white shirt. And you know I am always on the white clothes train. I am obsessed with studs, I just can't do big earrings and these are nice and subtle and I don't feel like I have monkeys hanging from my lobes. What do you turn to when things don't line up in your day? soak in the tub .. love your triangle studs, love sparkle and dark metal together. I have the necklace too. It is so pretty. I turn to yoga; it always helps. Pretty items, Laura. Always a pleasure to see your jewelry posts. 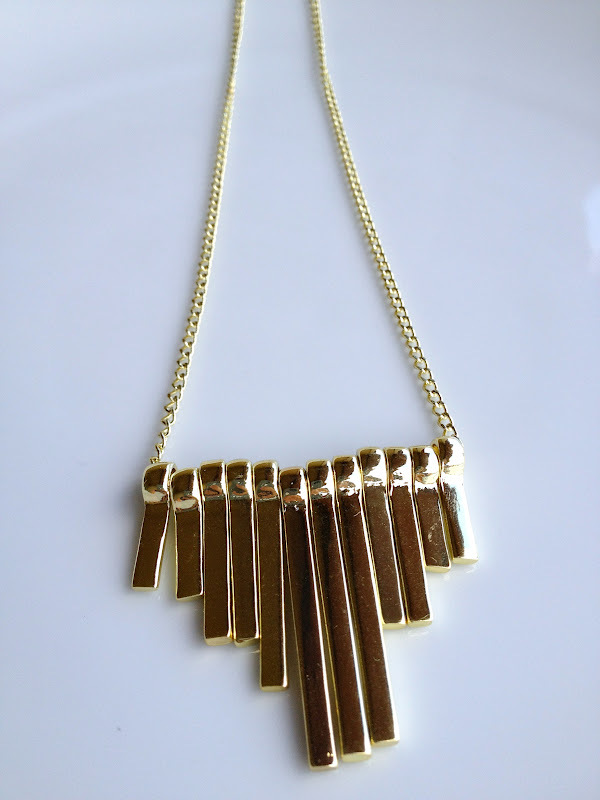 The necklace is a lovely statement piece.